Toronto, March 22: Reports from the remote village of Baghuz in Syria say that US-backed Syrian Democratic Forces are combing through the streets of the settlement to flush out Islamic State fighters after weeks of intense fighting against the last stand put up by the followers of Abu Bakr Al-Baghdadi. The combing and searching operations are the final stage before declaring the village liberated from the clutches of the Islamic State and declaring a victory over the terrorist group which at one time claimed large swathes of Syria and Iraq as its dominion. The liberation of the village of Baghuz will also mark a victory against Islamic State’s caliphate in the region. 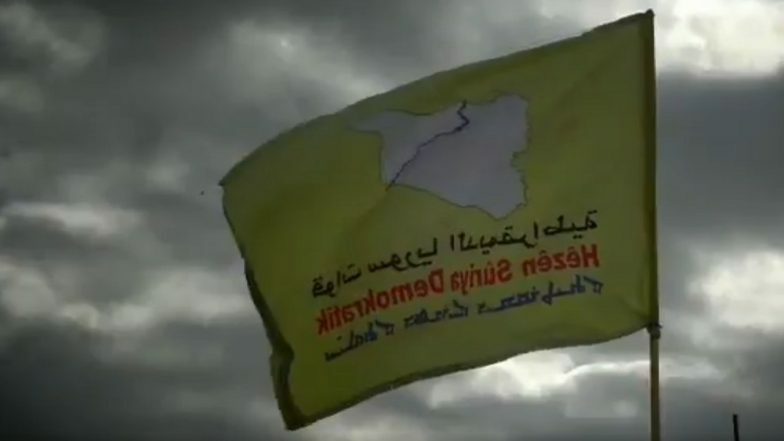 "Our forces are still conducting combing and search operations and as soon as they are finished we will announce the liberation," Mustafa Bali, spokesman for the Syrian Democratic Forces, said in a statement to journalists reported Reuters. The combing and sweeping operations are part of the operation to ferret out Islamic State militants who have deployed the construction of tunnels beneath buildings as part of their fighting strategy. IS fighters also leave mines behind after they have flee from areas once occupied by them to cause damage in their wake. US Secretary of State Mike Pompeo, who was on a visit to Jerusalem, told reporters victory was "close". He was proud of "the work that the United States did, the Department of Defense did, that the folks fighting down in the Euphrates river valley did," he said. "The threat from radical Islamic terrorism remains. We need to finish out the last few square metres there, in Syria. Still work to do." Despite the obvious success on the ground that the US-backed Syrian Democratic Forces have achieved in defeating the Islamic State, US intelligence has warned that Islamic State continues to pose a serious threat to the region as thousands of fighters have become dispersed throughout Iraq and Syria and control resources to continue their insurgency.